Acnevva was one of the first acne treatments featuring 5.0% tea tree oil as the key ingredient to cleanse and clear away acne. Acnevva makers promise to give you acne-free skin without any side effects like dryness and stinging that come with your typical, over-the-counter benzoyl peroxide acne treatment. 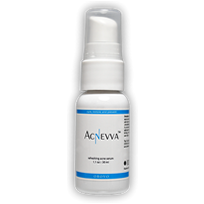 As an acne serum, Acnevva is fairly unique. Where most acne remedies are spot treatments and creams, Acnevva offers a different delivery system to completely saturate the skin with potential acne-fighting ingredients. We investigated the true potential of Acenvva to see if it had more to offer than tea tree oil and if it would really help eliminate your acne. Click here to read more at the Acnevva Official Site. Of course we already mentioned the key acne-fighting agent in Acnevva is tea tree oil. Tea tree oil is a common alternative for benzoyl peroxide. In a comparative study for benzoyl peroxide and tea tree oil as acne treatments, both ingredients proved effective in significantly reducing mild to moderate acne. Although effective, benzoyl peroxide caused minor side effects and tea tree oil did not. 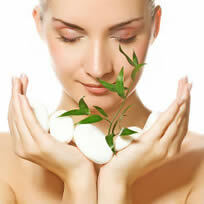 Tea tree oil is an excellent choice for treating acne without any risk. To cover all the bases, Acnevva offers additional ingredients like aloe vera to soothe your skin. Aloe vera extract is actually more beneficial than you would assume for acne. Aloe vera can help heal the skin from infections like acne and reduce the appearance of damaged skin. Acnevva also contains white willow bark. White willow bark is a natural substitute for salicylic acid. Like salicylic acid, white willow bark gently exfoliates the skin removing pore-clogging impurities. White willow bark also helps reduce inflammation caused by acne. How Much Does Acnevva Cost? Because Acnevva doesn’t contain a lot of the fillers and junk found in omost over-the-counter acne treatments, it’s going to be a little more expensive than typical over-the-counter treatments, but we have to say that it’s worth the $29.99. You can get it for less if you order a couple bottles on the official site, and you’ll get another quality acne treatment with your order called Acsonix. If you compare Acnevva to treatments that offer these kind of results, it’s definitely much more affordable and it does come with a 90-day money back guarantee so if you don’t like it, you can return your order for a full refund. Check the Website where you buy it for details, because the same guarantee isn’t offered on every site that sells Acnevva. Not very many acne treatments on the market offer a money back guarantee because it can be too risky for the company. Acnevva has a great money back guarantee that really makes us put extra faith in its ability to truly clear your complexion. According to Acnevva,if you are not satisfied with the results you get with the product you can get a full refund. Our thorough research and expertise leads us to believe Acnevva is formulated with the right ingredients in the right concentrations to eliminate acne as safely and effectively as possible. With an acne serum, a little can actually go a long way allowing you to treat your entire face with just a pea-sized amount. According to Acnevva you should expect a clear complexion in just seven days. ok ill give it a try thank you so much for your advice. It really relives my skin after a long hard day I am really great full for it. It really relives my skin after a long hard day. All of the acne treatments I have tried that contain tea tree oil make my skin sting and it is a bit painful. Since the product contains a high amount of tea tree oil, would it hurt? Hello Lily, I’m sorry to hear about your negative reaction to tea tree oil, but it is very likely that you could always react this way to any product with tea tree oil. You might be interested in Acnepril instead, since this oral acne treatment works from the inside out, it is great for sensitive skin. 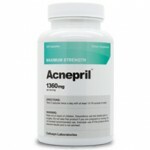 You can read more about Acnepril at Acnepril.com. Hope this helps, and thanks for commenting! Will do. Thank you so much.